A driver crashed into a lamp post at Toa Payoh Lorong 1 on Thursday (Apr 19) at around 1pm. Stomper Dave alerted Stomp to the accident that happened near Braddell MRT Station. The driver is believed to have lost control of the vehicle and hit the lamp post which was left leaning to one side. The front of the car appeared to be badly damaged and the front right wheel had come detached. "No cars could pass through," said Dave. 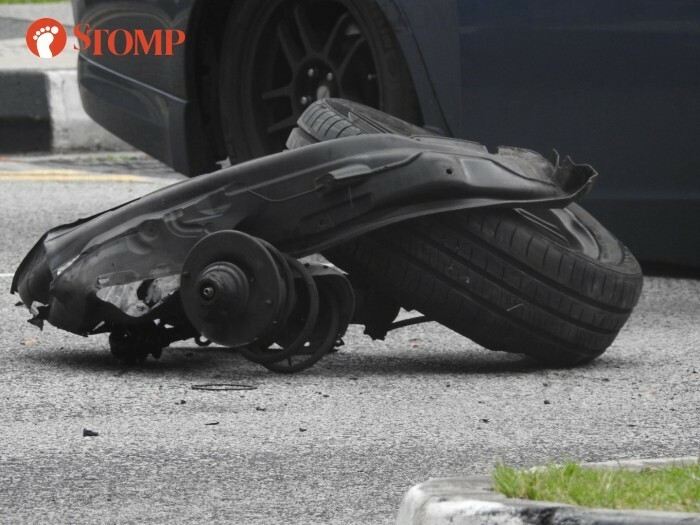 In response to a Stomp media query, a police spokesman said they were alerted to an accident involving a car along Lorong 1 Toa Payoh towards Lorong 6 Toa Payoh.